Dolce & Gabbana DG3285 is a Full Rim frame for Women, which is made of Acetate. The Dolce & Gabbana DG3285 Eyeglasses feature the following logo: Dolce & Gabbana on temple. 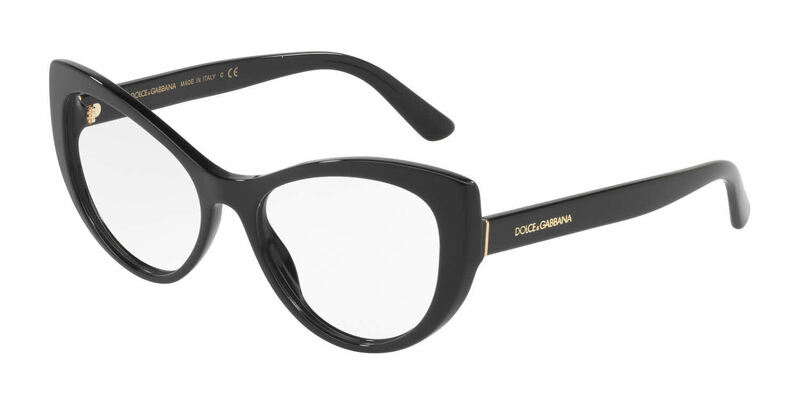 Dolce & Gabbana DG3285 Eyeglasses come with a cleaning cloth and protective carrying case. I have received so many compliments from the moment I started wearing these frames. They are super cute and definitely make a statement. The ordering process was great, too! I am definitely going to buy another pair from frames direct! There the nicest par of glasses I've ever owned, but that's not saying much as I've had some pretty awful experiences with other stores. The shipping took forever. I had to make a payment before I even got them. The lenses Are light weight, even though I'm 20/200. I've noticed they do have a pretty severe glare. The frame I do not recommend if you have sensitive skin as the entire top and bottom of the frame is scratchy. I expected better from a higher end brand. I would buy from this brand again. I tried on several pairs from this brand in my local eye dr. They were more comfortable than this frame.